“I have not done any mistake. Please do not disturb those who want to watch the movie. I request your cooperation,” actor Rajiniknath said in Chennai. Actor Rajinikanth plays the lead role in Kaala. Tamil superstar Rajinikanth on Wednesday appealed to the people of Karnataka and its chief minister HD Kumarasamy to ensure the smooth release of his movie Kaala in the neighbouring state. In a statement in Kannada, the actor who has a strong fan following in southern states also criticised the Karnataka Fi- lm Chamber of Commerce for supporting the ban called by fringe elements in Karnataka. Addressing reporters at his Poes Garden bungalow, Rajinikanth justified his stand on Cauvery issue and said: “I said what the court had said, and banning a movie for that is not correct. The movie is getting released worldwide and those who want to enjoy the movie should be allowed to watch… It is really surprising as the job of KFCC is to ensure that film-makers and distributors do not face hindrances at the time of a movie release.” The Karnataka Chamber of Commerce should be helping Kaala’s release as the public would be eager to watch the movie, he said. Meanwhile, two popular theatres in Chennai, Udayam and Kamala, cancelled the screening of Kaala as the terms and agreements failed. Kamala theatre authorities told reporters that the distributors wanted to sell the tickets at a higher price than the rates fixed by the state. “This will lead to unnecessary problem, so we have decided to screen Jurassic World on the same day,” theatre sources said. Riyaz K Ahamed, spokesperson for Kaala movie, said that the two theatres chose to refrain from signing the agreement as contract terms failed to materialise. “More than 500 theatres in Tamil Nadu will screen the movie on Thursday. In Karnataka, the movie will be released in 150 theatres. In Telangana, 265 theatres have agreed to screen the movie. We are getting good response from Andhra Pradesh and Kerala as well,” he said. In a related development, the Madras high court refused to entertain petitions filed to stay the release of the movie. Justice T Raja observed that the court cannot stay the movie just a day bef- ore its release and insisted the petitioner to produce an authorisation letter from Jawahar Naadar, son of Diraviyam Nadar, a native of Tirunelveli who settled in Mumbai and was influential among Tamils due to his underworld connections. The petition was filed charging that the movie portrayed Diraviyam Naadar in poor light. The case will again come up for hearing on Thursday. The theatres in Chennai wore a festive look as Rajinikanth fans were excited over the release of their “thalaivar (leader’s) film”. 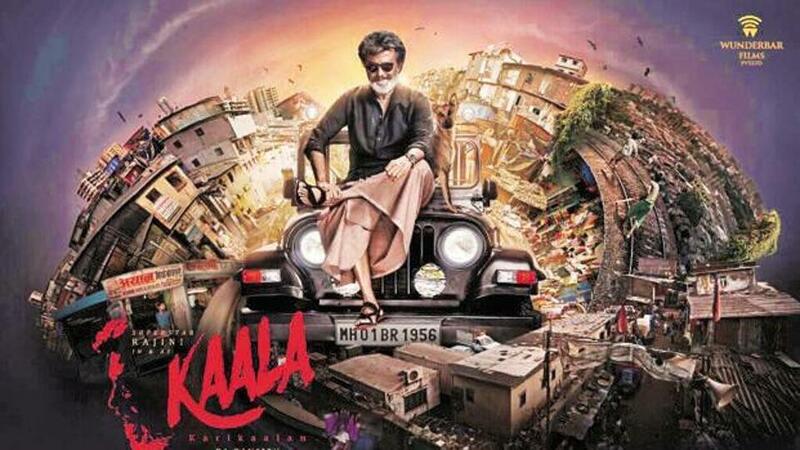 Social media and Twitter also tre- nded the hastag Rajni on the eve of the release of high-budget Ka- ala, produced by actor Dhan ush, the son-in-law of Rajnikanth.